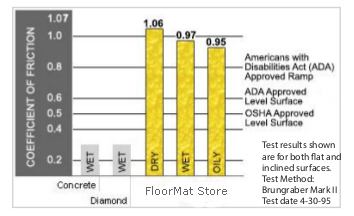 Fiberglass Landing Covers are designed for indoor or outdoor use that exceeds OSHA and ADA standards. 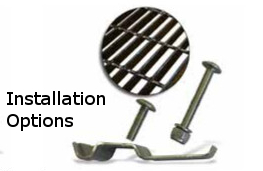 They are lightweight, impact resistant, corrosion resistant, and cost-effective. Their vertical lip wraps over the leading edge of stairs where most slips and falls occur. These are only in Bull Nose, for Square Nose see our Step Covers and Walkways Covers. Available in custom dimensions up to 94" width x 47" depth, call 330-650-5561 or email for quoting. Large variety of color options including high visibility, and glow in the dark. 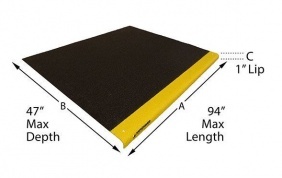 Standard Stair Treads and Walkway Covers to match also available, call 330-650-5561 or email for pricing. Up to (6) available grit thicknesses to choose from Xtreme Super Coarse to Super Fine Barefoot applications. 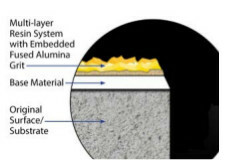 (5) Options of installation including a simple adhesive.